Disney world is one of the finest and desirable destinations for spending a vacation. If you want to take your little one there then make a list of those products which may make your vacation more comfortable. May I guess the first name of this list? It is your baby’s stroller, isn’t it? Without stroller moms can’t spend a single day, then how can they manage the whole trip at such a gigantic park like Disney world? As a mom, my advice is you should not only take the stroller but also you should choose the best one for this trip. Have you idea that which stroller will be the best strollers for Disney world trip? If not then don’t worry, here I’m to advise you about some best strollers for Disney world. Because ordinary in-house using stroller sometimes fails to give support at the outhouse. If your’s one has the same problem then it may spoil your whole trip. At first, you should try to know the stroller-related policies of Disney world and then make your choice. It will make your job easy. 0.1 Are strollers allowed in Disney world? 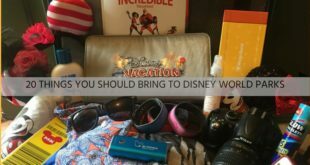 Are strollers allowed in Disney world? Generally, Disney world allows some specific vehicle to carry the baby. But for avoiding a fire hazard or the possible problem of other visitors, the authority doesn’t allow the big size stroller. • Stroller up to 36”X52” will be allowed till 30th April 2019 and from 1st May 2019 stroller larger than 31” X 52” will be not allowed. • Any trailer-like object that is pushed or towed by an Electronic Convenience Vehicle, wheelchair or stroller, or pulled by a person or wagons. You should keep concern about these rules related to the stroller. Be sure that the vehicle must not big more than the measurement that the authority of Disney world has instructed. You should respect these policies because these are not only policy these are the prior condition to keep you safe. 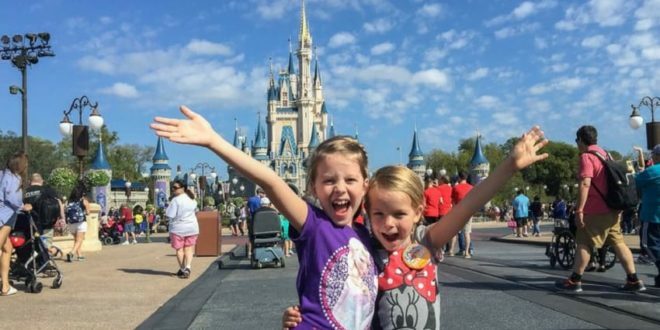 Disney world is the world’s best place for the visit with your kids. If you decide to visit then you should choose the best stroller for Disney world because your movement will never be easy without it. Do you know how to choose a stroller for Disney world? A perfect stroller for Disney world should have some specific feature like big storage, snack tray, large canopy. A regular stroller that you use at home is quite similar to the best stroller for Disney world. You have just notice that it may not break the policy of Disney world. But for making comfortable your vacation, some specific feature should have on your selected vehicle. Comfortable and has plenty of headroom. It is the main feature that you have to detect on your selected stroller. Disney world is such a big area that you may spend a lot of time there. Your kid will pass many hours on the vehicle during visiting the park so it should be very comfortable. Give your full attention to baby’s safety. Make sure that there is enough headroom to the stroller that you going to select for your baby. During the visit, a long period of time the baby will stay in the open area so well functions headroom is very essential for his safety. A stroller is not only transport for movement. It is a place where the baby will take rest at break time, get sleep or can get shelter from rain or bright sun. So, it should be adjustable to various positions. Such as, at baby’s sleep time the backline must be tilted as much as he needs. Usually, all moms find this feature before buying a stroller or pram. If you have a plan to visit Disney World with your baby along with stroller then extra storage option will very helpful for you. You can use this storage to keep the baby’s diaper bag, extra cloth, food container, and many more things. As a result, you can keep everything you need for your child near to your hand. We know about Disney world that it is too much big in size. And it also has a handful attractive part that you never want miss to visit. So the stroller that you going to use must be easy to maneuver. Please check the wheels, grip on braking, and strength of handlebar and tire quality. The stroller must have an easy brake and tire should provide a nice grip. Your visit plan for Disney world must be at least two or three days. This time limit may be also more than that. So, choose a stroller which can able to adapt multiples, versatile configurations easily. During your visit period, taking brake is not important for your baby but also important for you. So an extra snack tray will add more benefit at the time of brake. Make a test before selection that how that tray will be useful for you. And don’t forget to measure the space is enough for you or not. Canopy is one of the most important parts of the stroller. In the summertime, it is an essential accessory. It gives shade and protects baby from sudden rain. Babies stay safe during their nap time or sleep time. A canopy can compatible with every model of the stroller. Just find the size and the quality of canopy is that as like as you need during the visit to Disney world or not. Are you still in a dilemma that which is the best strollers for Disney world trip? Is it your first trip to Disney world? Then you should at first try to know the tips for using a stroller at Disney World. Then definitely you can take the right decision. Now I discuss the best double strollers for Disney World. 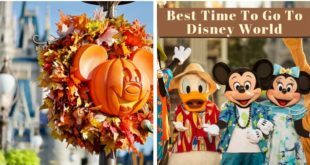 If you want to make a better decision in a short time, just see this comparison table and pick the best stroller for Disney World. The Baby Jogger is a side by side double stroller. It is an upgrade version of this model. Due to it is upgraded, it is added some extraordinary features. The finest part of this vehicle is its adjustable handlebar. This means that the handlebar can be adjusted for different heights of people. Extra padded have been added for more comfort. You will get the best wheels in Baby Jogger 2016 City Mini GT Double Stroller because wheels are completely made of solid foam. That why tire will never become flat. This stroller comes in three different colors: grey, red and black. There isn’t added any extra pieces like whistles or bells or any other fancy items. The stroller gives their complete focus on security, functional design and weight. Baby Jogger can carry about 100 pounds. It has a hand operated brake. The baby jogger has added the best technique in feature and this is its quick-folding technology. 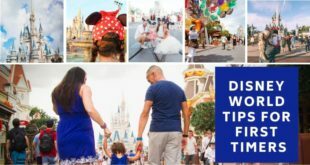 This quick fold option will give you extra benefits during a visit to Disney world. Two side by side seats covered with soft fabric. It has adjustable five-point harnesses also. The weight of the stroller itself 32.6 pounds and it can carry out about 100 pounds without any difficulty. It adjustable handlebar is suitable for any height. The wheels size is 8.5 inches. Have quick folding technology. And the quick fold option works fantastic and lock itself automatically. According to various test, the stroller proves his strength and security. Mom will get an extra advantage because the Baby Jogger offers a snack tray also. Canopy with SPF 50+ sun shade for protecting baby from Ultra Violet Ray. It has a big storage compartment behind the seat and the basket size of the stroller is pretty good. Rubber wheels are quite good for the terrain. Folding technology is amazing, it folds itself and lock system is automatic. Hand operated brake work well. Big storage compartment behind the seat. Canopy with SPF 50+ sun shade. Weather shield work good for protecting from rain and sun. A bar in the middle of the basket makes is irritating. Now the Maclaren Twin Triumph is one of the best transports available in the market for two children. You will get lots of positive reviews on behalf of this double umbrella stroller. It is comfortable, well secured and convenience. You will definitely find something different which may make you pleased in this stroller. By unboxing reputed brand stroller Maclaren Twin Triumph you will get one pushchair with two seat units, two separate seats hoods safety wristband, rain cover and one instruction manual. The available colors of this stroller are Racing Green, Charcoal, Coffee, and Scarlett. The chassis of this stroller is extremely lightweight but the frame is as stronger as it is able to carry two heavy toddlers. There are two interesting crisscross handles which are very comfortable to puss. The chassis along with the seat weight only 10.6kg. It is the one of best lighter in this category. It has sis set plastic wheels with a dimension of 11.5cm and no suspension in any wheel. The basket is not as bigger as you can carry your shopping for the whole week but can carry the essential goods easily. The folding system of the stroller is very simple. At first, lift up fully the red brake pedal and release the tension frame on the other side. Now press down the safety lever by your foot and push the handle to fold the stroller. The seats are front facing of this stroller and both seats are able to carry any age’s kids. It has separate hoods and reclines that you can use for each child individually. The seats are covered with heavy fabrics but the feeling is not hard because it is well padded. The seat cover can be removed completely from the chassis for a wash. Perfectly fit at any stander doorway. Chassis along with seat weight is 10.6kg. The stroller offer multi-position recline seat along with leg support cushion. The seat can be adjusted according to kids comfort level. Seat cover can be removed for a wash. The expendable canopy is UPF 50+ and can able to protect baby from rain and sun. It has a premium quality rain cover. Storage space is located behind the side by side seat. If any problem is found in the vehicle, self-service replaceable parts are available. Two tine pockets are set behind the seat use for emergency small products like wipes or small toys. Shoulder harness can be adjusted according to height. Excellent quality and very easy to use. Materials are very strong and nice. The seat is comfortable for kids of all ages. The denim seat cover is very easy to clean. Storage basket and extra small pocket, both are very helpful. Comparatively heavy than other product. These are also suitable for a long tour or vacation like Disney world. The Besrey Airplane stroller is fantastic for daily use. If you are planning to visit Disney World during this summer vacation then the Besrey is one of the best vehicles for travel as well for air travel. Your invest will not waste if you select it for purchase. This stroller is suitable for 6 months to 36 months of babies. The Stroller is made from high-quality materials like plastic, aluminum, and fabric. It has an amazing quality that it can fold in to very small in size and it fits easily in many places. It is very light in weight, only about 10.8 lbs that mean almost 4.9 kg. Parents can never compromise with kid’s safety. This stroller offers you a five-point safety harness which will keep your baby secure from up-down movement. There are many options to adjust that your baby feels super comfortable. The seat recline can be adjusted as much need for baby’s comfort. 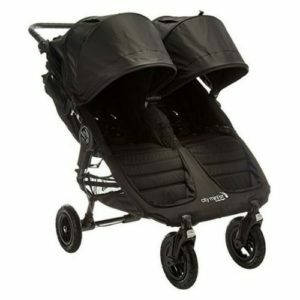 The transport is very comfortable for the baby because it has adjustable pads. It has a pedal brake which may allow you to control the vehicle in one hand only. Another excellent feature is, it has 360-degree swivel wheel which makes maneuver very easy and its lock system secure the vehicle at the time of not use. The storage basket is fitted at the rear of the stroller it can carry up to 10 pounds. The canopy size is really nice. This large canopy can protect your baby from the sun very well. It is small but you can keep your trust hundred percent on it that your baby will completely safe and enjoy a comfortable vacation with it in Disney world. Best product to carry on air travel. It can easily fit into any kind of trunk of a car or the overhead bin of the plane. It can be folded enough that it becomes very small and the folding system is very easy. This is a very lightweight stroller. The weight is only about 10.8 lbs or 4.9 kg. The stroller offers five-point safety harnesses that may keep safe your baby under any circumstances. 360-degree swivel wheel makes maneuver very smooth. The lock system has removed the risk. The big storage basket is able to hold 10 pounds. Keep control over the vehicle by the pedal brake. It can be managed by one hand only. 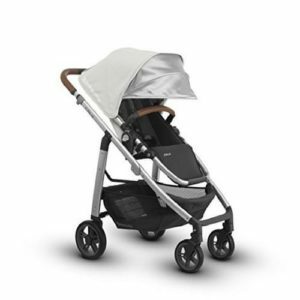 Used material is very nice and the stroller looks very premium and classy. It is small that why it is perfect to carry with at any place like Disney world. Excellent folding capacity. It becomes too much small is the size that can fit in anywhere. Very lightweight transport. Very easy to lift. Secure for baby due to having a safety harness. Easy control with pedal brake. It can go on a rough surface without any hazard. Even it runs well than any other heavy transport. Due to its lightweight, anything can’t hang on it. It may flip. The covering bag can’t cover the whole product. UPPAbaby is one of famous brand in the stroller world. Now I will about UPPAbaby CRUZ, the upgrade version of 2018. In a few words, it is multi-tasking, light and extremely durable stroller along with excellent performance. I’m quite sure that you may feel an attraction to it after reading the detail. UPPAbaby CRUZ is a compact and standard stroller. It has a regular seat which can turn into the travel system. It is suitable and perfect for travel. So if you are planned to visit Disney world then UPPAbaby CRUZ may be your smart choice. The CRUZ offer you a wonderful sitting option that baby can face to the parent or the outer side and the seat recline can be changed in multiple positions. You can up and down the by push only one button. The stroller has two wheels in front of 7’’ and at the rear of 8.5”. The wheel size and quality are not enough for the off-road travel but perfect to work on the city’s smooth surface. The stroller can run over the grass and the lock system of the front wheel stable the vehicle strongly. Like other transport, it hasn’t any suspension system but wheels are able to absorb shock. The stroller offers an extendable telescoping handlebar and it is suitable for both tall and short parents. It has an adjustment button which is very easy to press by using one hand. The CRUZ has a large expandable canopy. It is able to give a tremendous big shade to protect sun visor. It is SPF 50+ for protecting your baby from UV rays. An extra ventilation system is also having in the canopy. A rare feature of this stroller has made him best, and that is its adjustable system according to your baby’s height. Up to a few inches, its slide can be up. The safety harness of the vehicle is very easy to wear. The crotch strap is adjustable and fits with any size passenger very good. Under the seat, you will find a big storage basket. The basket can hold on up to 25 pounds, it is surprising, isn’t it? The weight of frame -15 lbs and the seat is 6.5 lbs. The limit of the vehicle is up to 50 lbs. The CRUZ stroller is available in eight colors: Jake (black fabric and frame), Dennison (Bordeaux), Taylor (dark blue), Pascal (grey), Sabrina (pink), Loic (white), Austin (green), and Gregory (graphite). The bumper bar and the handle are upgraded from the previous version. Along with Loic, Hunter, and Austin, pure leather bars are attached. But you can buy separately these cover for another model and version. The material used in the canopy is a woven fabric. The material is wrinkle-free, soft and very smooth. 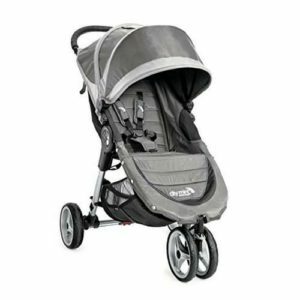 The most beneficiary part of this stroller is, it can be converting in to travel system. The frame of this vehicle is light in weight. Front wheel can lock easily. The big storage basket under the seat is able to hold up almost 30 lbs. Have a large rain cover. Plastic wheels are able to absorb shock. SPS 50+ adjustable canopy with an extra ventilation system. You may need snacks tray and cup holder which is absent here. This City Mini 2016 is an update form of its previous version. The new City is equipped with many update features. Its all-terrain wheels are now run on the country also. These all are not flat wheels and the suspension of front wheel work very well and full control gives your hand to make comfortable your children. The City has a wonderful feature, it is an adjustable handlebar. That means, the handlebar can adjust at the up or down position according to the mom’s height. Another complimented feature of this stroller is hand operated parking brake. Don’t get panic with its size. The stroller is easily foldable like a lightweight or umbrella stroller. The quick fold technology makes rich the stroller more. You have just lift a strap by one hand then the stroller will fold automatically. It has an auto-lock system which is locked into the fold and makes ready the stroller for storage and transportation. It’s really very simple! The seat recline can be adjusted as much as near the flat position. The finest part of the stroller is the retractable weather cover which can confirm you about your kid’s comfort and safety. There is an option of multiple positions to open UV 50+ canopy for adjusting according to the sun. The weight of the product is 20.9 pounds. The available colors of the products are teal/gray, stone, lime/gray, crimson/gray, and black. The Lightweight stroller is suitable for city movement. The quick fold mechanism is very effective that allows you to fold vehicle in one click. The seat is adjusted to multiple positions according to kid’s demand. The stroller form is transformable to travel system by using seat adaptor. UV 50+ the sun canopy is also adjustable according to the sun and it featured two peek-a-boo windows. Rubber handlebar gives the better feel. The stroller can be folded by one hand. The handlebar is adjustable at a suitable position. Adjustable in multi position UV 50+ sun canopy. Easily maneuver, able to run on ice or snow. The big wheels nicely curb and shocks absorb. Easy transformable option to travel system by using car seat adaptor. Comparatively narrow profile from other similar product that’s why passes through any doorway. The storage basket is comparatively small. 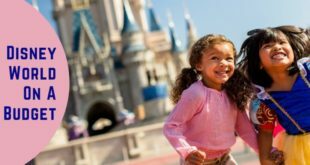 Are you ready to visit Disney World with your kid? Have you realized the needs for a portable stroller for your baby? Get relax! Another best stroller for Disney world is UPPAbaby G-LUXE stroller. Don’t go to its size, this small product offers a lot for you and your baby. It is very light in weight and compact, its quality is very high as the other product of this brand. The G-LUXE’s frame is made with a material of light aluminum. It has four dual wheels, adjustable reclining seat, and the storage basket under seat, adjustable canopy, and foot operated brake. Along with these, G-LUXE offers some attractive feature. This stroller is pretty suitable for 3-month baby and able to carry up to 55 lbs. The size of the vehicle is small, only 19.5 inches wide and it is perfect for Disney world trip. The weight is 15 lbs that’s why it’s easy to lift and fit in any space. The seat can recline into three positions. That’s why the baby can sit or relax and sleep comfortably. Padding of the seat is very soft but remembers one thing that the stroller is not perfect for an infant because there isn’t enough support for baby’s head and spine. 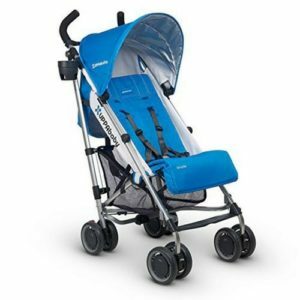 The stroller has foldable sunshade to protect the sun and cover the little passenger. SPF 50+ canopy is for protecting harmful UV rays. It is light in weight and small in size. The weight of the stroller is 15 lbs. The vehicle can able to carry up to 55 lbs. The storage basket able to carry a maximum of 10 lbs. The automatic lock is a nice feature of the stroller. The stroller is very portable after folding due it become very small. It has a storage basket under the seat which capacity is maximum 10 lbs. Right side wheel of the rear has foot operated brake. Its four wheels suspension absorbs shocks perfectly. As it is lightweight, it is really very easy to carry out. Compatible with storage and transport due to it is small in size. Very effective and useful for those parents often travel by car. It has a cup holder as an additional facility. A fantastic automatic lock system. The excellent reclining seat along with three different positions. It is perfect for city use. Difficult to drive on the uneven path. Finally, I have discussed here two double and four single strollers which are the best stroller for Disney world. 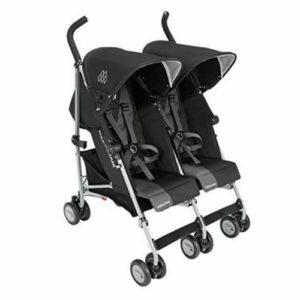 If you have twin baby or two different age’s baby then here are two fantastic double strollers for you. 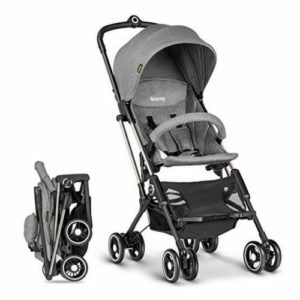 Between these two strollers, my choice is Baby Jogger 2016 City Mini GT Double Stroller because of its big storage basket and the weather shield. Both are very essential for travel in Disney world. If you are a mom of a single kid then I think Besrey Airplane Stroller is best because it is best for travel and air travel also. It is very lightweight and easy to maneuver. I think it is ideal for a Disney tour.